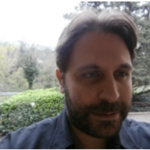 Dr. Ioannis Galariotis is an academic (teaching) assistant at the School of Transnational Governance at European University Institute. From September 2017 to December 2017, he was visiting Lecturer at the Institute of European, Russian and Eurasian Studies at Carleton University (Ottawa, Canada). Previously, he was Max Weber Fellow (2015-2017) at the Department of Political and Social Sciences, European University Institute where he was affiliated at the thematic research group “Europe in the World: Foreign Relations, International Security, World Politics”. His research focuses on the employment of diverse computational social science approaches (automated content analysis techniques and sentiment analysis) to examine the role of the EU as a global and regional security actor. Prior to joining the EUI, he was a post-doctoral research fellow at the Athens University of Economics and Business (2013-2015) in the research project “The EU Performance at the United Nations General Assembly”. His broader research agenda focuses on European integration, international relations, foreign policy analysis and political methodology. Blavoukos, S., Bourantonis, D., Galariotis, I. (2017) “In Quest for a Single Voice in the UN General Assembly: The Politics of Resolution 65/276”, Cooperation and Conflict, DOI: 10.1177/0010836716684879. ​Lialiouti, Z., Georgiadou, V., Kafe, A. and Galariotis, I. (2017) “Xenophobia in Greece as a Research Problem: Conceptual and Methodological Issues”, Science and Society, Vol. 35:161-188 (in Greek). ​Gianniou, M. and Galariotis, I. (2016) “The European External Action Service: Towards a More Coherent EU Foreign Policy?”, St Antony’s International Review, 12(1): 104-119. ​Blavoukos, S., Bourantonis, D., Galariotis, I. and Gianniou, M. (2016) “The European Union’s Visibility and Coherence at the United Nations General Assembly: The Post-Lisbon Era”, Global Affairs, 2(1): 35-45. ​Giannou, M., Galariotis, I. and Assimakopoulos, E. (2015) “EU Visibility and Coherence at the UN General Assembly after Lisbon”, International and European Politics, 33: 88-100 (in Greek). ​Ifantis, K. and Galariotis, I. (2014) “The US and Turkey in Search of Regional Uncertainty: Towards Asymptotic Trajectories“, UNISCI Discussion Papers, 36: 9-28. ​Galariotis, I. (2009) “Constructivism, International Relations and European Integration”, Greek Review of Political Science, 33: 49-70 (in Greek). The Syrian Imbroglio: International and Regional Strategies (Galariotis, I. and Ifantis, K., eds), European University Institute, Robert Schuman Centre for Advanced Studies (June 2017). Galariotis, I. and Gianniou, M. (2016) “Evidence from the EU presence at UNGA: In pursuit of an international effective performance”, in “EU in UN Politics”, edited by S.Blavoukos & D.Bourantonis, (New York: Palgrave), forthcoming. ​Ifantis, K. and Galariotis, I. (2011) “The Quest for the Holy Grail: Europe’s Global Strategy” in “International Politics in Times of Change”, edited by N.Tzifakis, (Heidelberg: Springer), pp. 61-78. ​Bourantonis, D. and Galariotis, I. (2011) “Norms, Socialization and the Europeanization of Greek Foreign Policy: A Top-Down Approach”, in “Europeanization in the Mediterranean Space”, edited by N.Maravegias, (Athens: Law Library Publications), pp. 63-87 (in Greek). ​Galariotis, I. (2010) “Social Dimensions of International Politics: The Theoretical Approach of Constructivism”, in “Directions in the Study of International Relations”, edited by K.Lavdas, D.Xenakis and D.Chryssochoou, (Athens: Sideris Publications), pp. 287-324 (in Greek). Galariotis, I., Georgiadou, V., Kafe, A. and Lialiouti, T. (2017) “Xenophobic Manifestations, Otherness and Violence in Greece 1996-2016: Evidence from an Event Analysis of Media Collections”, EUI Max Weber Working Paper, 2017/08, Florence. ​Galariotis, I., Gianniou, M. and Iakovidis, I. (2017) “Factors and Parameters of the EU Performance in International Organisations: A Theoretical Framework”, EUI Working Paper, Max Weber Programme, MWP 2017/03, Florence. Galariotis, I. (2008) “The Theoretical and Empirical Application of Social Constructivism in EU’s Foreign and Security Policy”, Cyprus Center of European Studies and International Affairs, WP: 2008-04. Sambanis, N. and Galariotis, I. (2015) “Is GREXIT a Threat to Greece’s Security”, Monkey Cage, Washington Post, May 3, 2015, Sunday. ​Galariotis, I. (2011) “The European Perspective of Turkey”, Kathimerini Newspaper, The Economist Magazine, Special Issue “Turkey after the International Monetary Fund”, Vol: 83, January 2011 (in Greek). Hüseyin Işıksal and Ozan Örmeci (eds.) (2015) Turkish Foreign Policy in the New Millennium (Frankfurt am Main: Peter Lang Edition). ​Kandiyoti, Rafael, (2015) Powering Europe. Russia, Ukraine, and the Energy Squeeze (New York, NY & Basingstoke: Palgrave Macmillan), Europe-Asia Studies, 68(8), 2016, pp. 1463-1464.